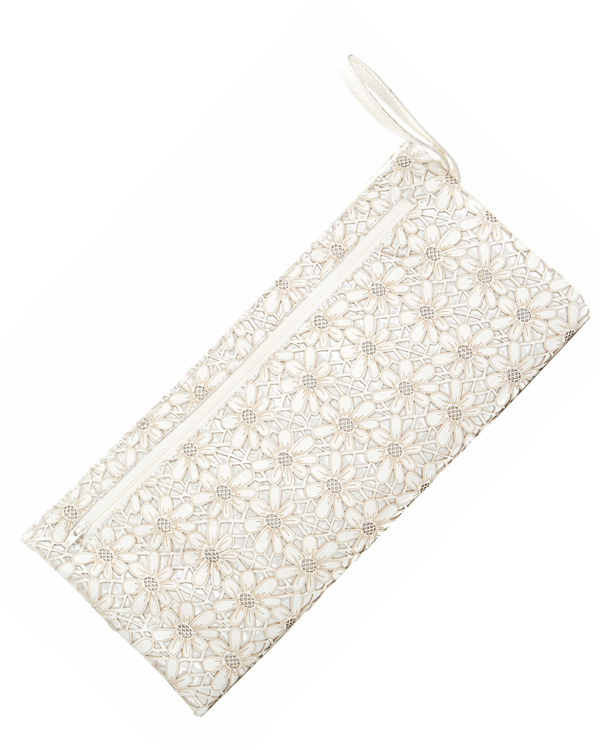 Because clutches are unmistakebly important to every woman’s wardrobe, we added this new model. 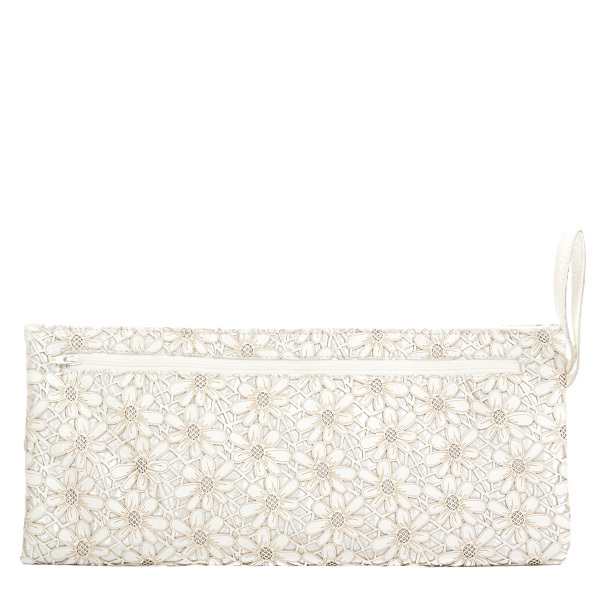 It is made out of two compartments, with zipper closing. The bag can be carried underneath the arm or with the wristband in your hand. 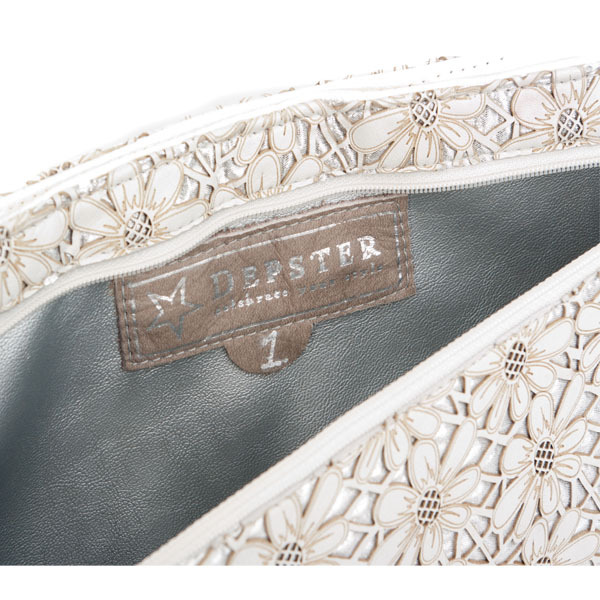 In the middle of the bag is an opening for flat shoes, slippers or a scarf and is available in any color or material. 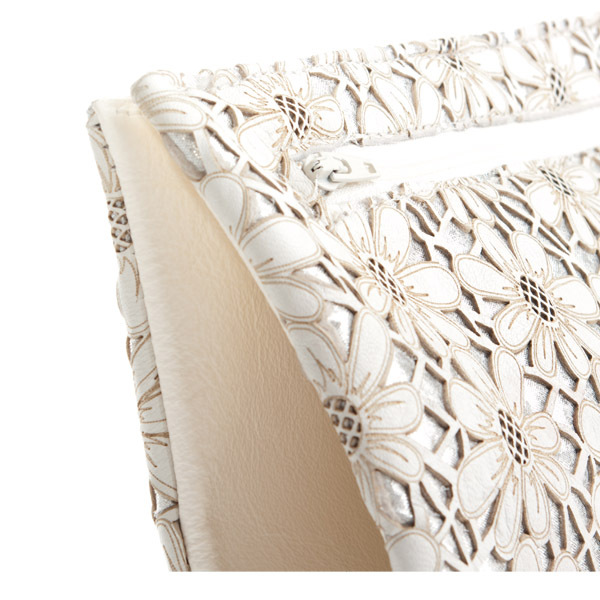 This bag is made out of white laser cutted leather with a flower print. We offer this bag with white skai leather lining, which is lasting, it will bring light into your bag and is very low in maintenance because easy to clean.